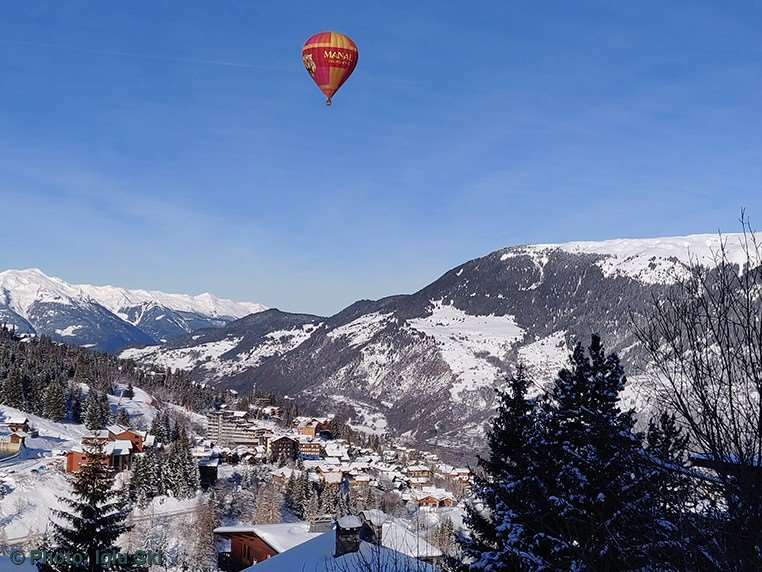 Right in the centre of the resort of Courchevel, the residence offers fully equipped apartments and enjoys a prime location, allowing you to ski right onto the slopes. For a better comfort, you can: Pre-book a baby kit Pre-book kids clubs, equipment and ski lessons, ski pass Enjoy the ski lockers, bed linen and towels provided and Wifi at the reception. Opening hours of the reception: From Monday to Friday: from 9 am to 12 pm and 5 pm to 7 pm. Saturday and Sunday: from 8 am to 12 pm and 2 pm to 9 pm. Please note: subject to change, please contact the residence before your arrival. From the cabin studio for 4 people to the cabin studio with mountain view for 4 people. Note: Bed height not suitable for children under 6 years of age. Decree No. 95.949 of 25 August, 1995. Accommodation description : 1 living room, 1 sleeping alcove, 1 kitchenette and 1 bathroom with toilet. Living room description : 1 double bedroom with 1 sleeping alcove and 2 bunk beds. Description Kitchen : Kitchenette opens out onto the living room. Bathroom description : 1 shower or 1 bath and 1 toilet. Description Others : Accommodation with Saturday arrivals. Accommodation description : 1 living room, 1 sleeping alcove, 1 kitchenette and 1 bathroom with toilet. Living room description : 1 double bedroom with 1 sleeping alcove and 2 bunk beds. Description Kitchen : Kitchenette opens out onto the living room. Bathroom description : 1 shower or 1 bath and 1 toilet. Description Others : SUNDAY ARRIVAL. Accommodation description : 1 living room, 1 sleeping alcove, 1 kitchenette and 1 bathroom with toilet. Living room description : 1 double bedroom with 1 sleeping alcove and 2 bunk beds. Description Kitchen : Kitchenette opens out onto the living room. Bathroom description : 1 shower or 1 bath and 1 toilet. Description Others : SATURDAY ARRIVAL.